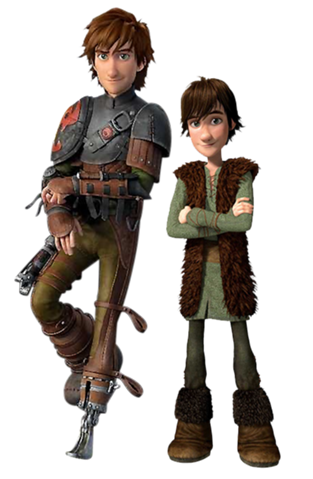 Hiccup become a cool geeky man. That's what you call puberty at its finest! 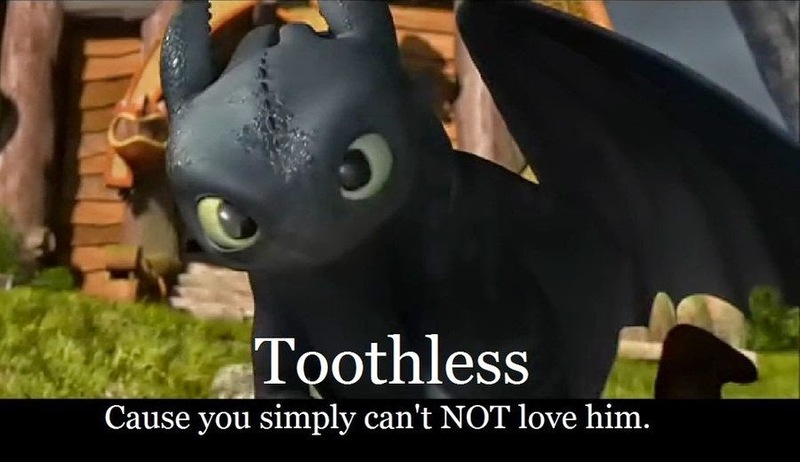 I want to ride toothless. People called it the Empires Strikes Back of animation movie. They broaden the world depicted in this movie, they make it more deep with some somber tone without losing its fun. The music is great. Well, even though they make it almost identical with music score from the first movie and also the animation series (Dragons Riders of Berk and Defender of Berk). I love the story too! 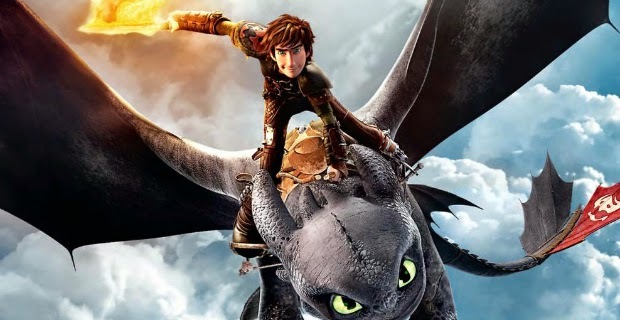 No wonder Hiccup is a top notch expert in training dragon. It turns out that his mother is Galadriel, eh I mean Valka (laugh). The jokes about Ruffnuff is pretty funny too. (Imitating Stoick) "Excuse me, barmaid! I'm afraid you've brought me the wrong offspring! I ordered an extra-large boy with beefy arms, extra guts and glory on the side! This here, this is a talking fish-bone!" Ha ha ha. Now he's not a talking fish-bone anymore. He grow taller and look stronger. Some people also called him the Neville Longbottom of animation movie. I almost want him to be my boyfriend. >///<. I was so afraid of becoming my father, mostly because I thought I couldn't. Because how do you become someone that great, that brave, that selfless? I guess you just have to try. I must admit. I teared up a bit at this scene. 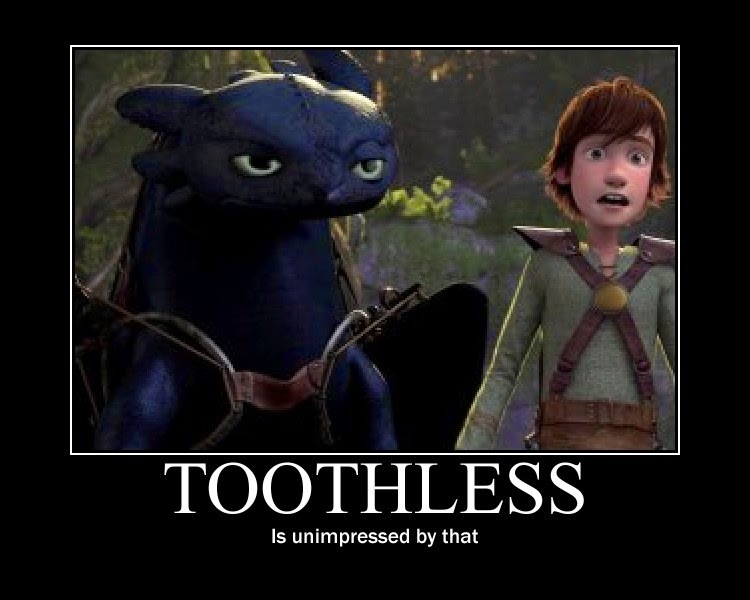 But of course the real star here is none other than the mighty Toothless. The most adorable dragon in whole universe! You can't not love him. Seriously! He's my favorite dragon, even more than Smaug and Saphira. My siblings are big fans of Toothless too! It's pretty rare to have all 4 of us watch the same movie in cinema. 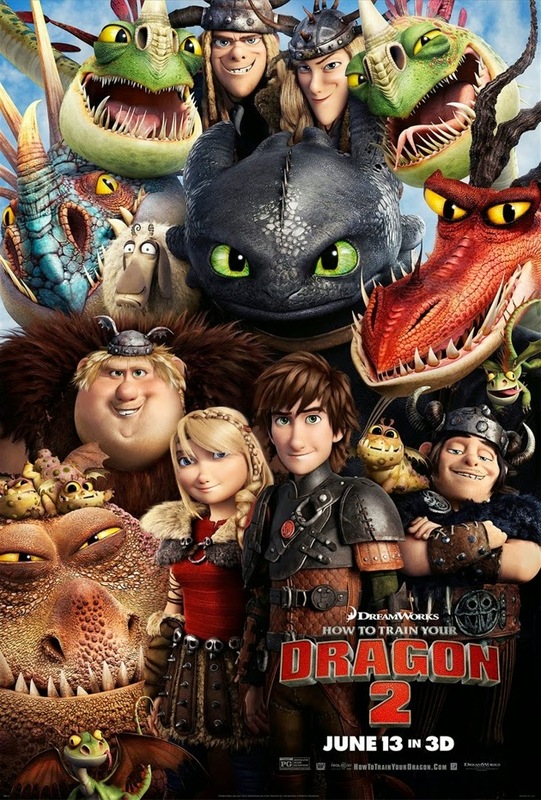 Overall, How To Train Your Dragon 2 is a great movie. It also become my favorite animation, more than Frozen and Wreck-It Ralph. I recommend you to watch it in 3D because the special effect is amazing. What about your opinion? Comment below and let me know ^^. PS: All pictures is not mine. Credit to the owner. Good review. It was a lovely to look at movie, but what made it even better was by how emotional it could get without being afraid of over-stepping their boundaries. And thankfully, they never did. Bland, poorly executed, and without any of the charm of the original, How to Train Your Dragon 2 completely missed the mark. Is it darker? Sure. But does the moral ambiguity lead to interesting insight for you or your children? No, not really. What was the message of the film? Bad people do bad things and can convince good people to do bad things too? Dragons don't kill people, people kill people? It's okay to abandon your responsibilities? And the running gag of the love triangle fell completely flat. On the plus side, the 3d was well done. With multi Oscar-nominated British cinematographer Roger Deakins (Skyfall) advising, DreamWorks' visual work is stunning, but the story feels fragmented by the mixture of strange accents and additional sub-plots.